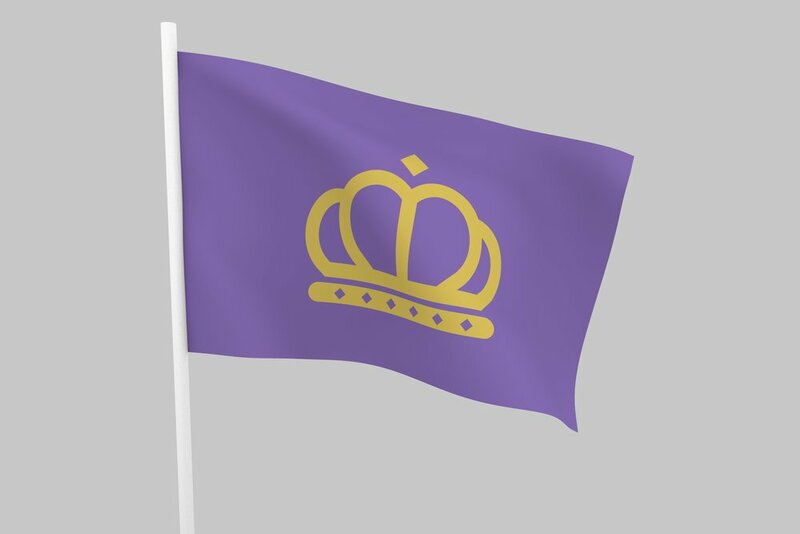 Each flag shares the colors of Purple and Gold to play off the royal nature of the neighborhoods’' name. The crown is reinterpretation of the old queen city tour signs and is important to the history of queensgate as it was the main gateway to the queen city for so many years. The head of the pig is cut into pieces like a butcher diagram because of the meat packing industry and giving us the city the nickname Porkopolis. The last 2 options uses Union Terminal as the crown jewel of the neighborhood.